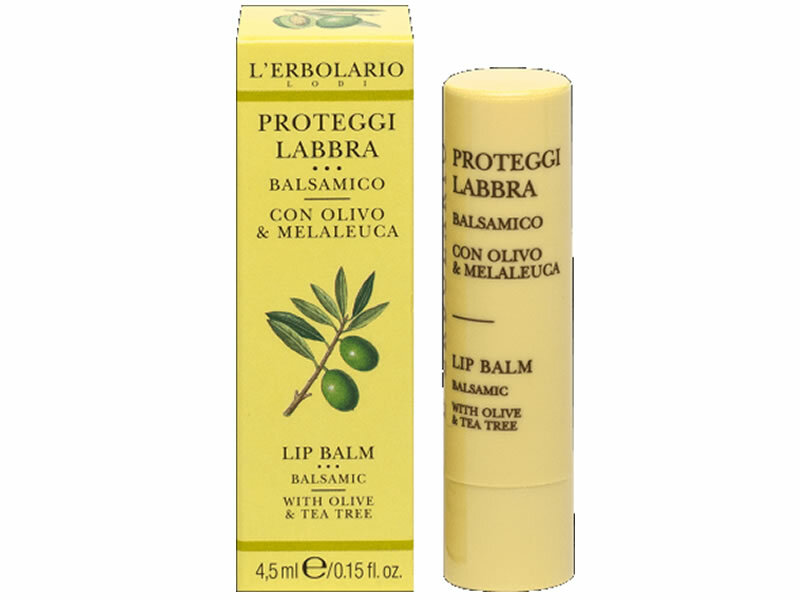 This Lip Balm restores the softness and suppleness of your lips, with the traditional properties of rich Olive Oil and the balsamic action of Tea Tree essential Oil, paired with the properties of Vitamin E. Use Apply the Stick thoroughly to the lips, paying particular attention to the corners of the mouth. Unsaponifiables of Olive Oil, Tea Tree essential Oil, Ceramides from Olive Oil, Vitamin E, Gamma oryzanol, Jojoba Oil. Simmondsia chinensis (Jojoba) Seed Oil, Hydrogenated Vegetable Oil, Beeswax, Olea europaea (Olive) Oil Unsaponifiables, Sorbitan Olivate, Melaleuca alternifolia (Tea Tree) Leaf Oil, Eucalyptus globulus Leaf Oil, Ceramide 3, Oryzanol, Tocopherol, Aroma (Flavour), Parfum (Fragrance), Anise Alcohol, Citral, Citronellol, Eugenol, Limonene, Linalool.